Shows: The Batman, Batman with Robin the Boy Wonder , Batman Beyond. Movies: Batman & Mr. Freeze: SubZero, Batman Begins, Batman: Assault on Arkham. Games: Lego Batman 3: Beyond Gotham, Batman Begins, Batman: Arkham City. 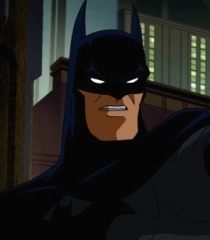 Shorts: Batman Strange Days, Gotham Stories, Batman Unlimited.